Rising customer expectations are pushing companies to deliver better and more intelligent service driven by sophisticated digital tools. It’s a bleak picture: Research across nearly every industry shows that satisfaction with customer service continues to fall. 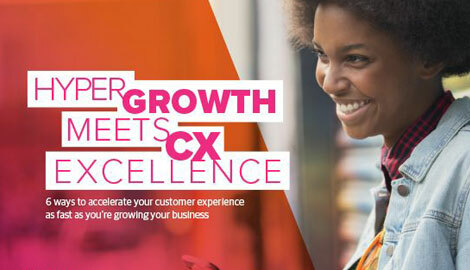 According to the 2016 Global Contact Centre Benchmark Report by Dimension Data, which canvassed more than 900 respondents across 12 industries and 72 countries, overall customer satisfaction ratings have been in decline for the last four years, and this year’s average of 78.3 percent is well short of its target of 85.3 percent. But these and other gloomy research findings are misleading, says author and customer service expert Shep Hyken. He maintains that rising customer expectations aren’t always aligned with improvements that companies continue to make in their service experiences. Technological advances in areas such as artificial intelligence (A.I.) and machine learning are only going to enable companies to deliver better, more knowledgeable support, Hyken says. Customer Strategist: How would you characterize the current state of customer service? Shep Hyken: If you look at the stats and facts coming out in surveys, it doesn’t look like we’re improving in the world of customer service. But I disagree with that. Customer expectations are higher than they’ve ever been before. The reality is that companies are improving customer service, they’re coming up with better tools and better ways to serve customers. I think we are improving, but customer expectations are higher than ever and they’re better educated and more knowledgeable. They go to a retail store and receive a fantastic experience and they expect a similar experience when interacting with companies in other industries. CS: What are the primary factors that drive customer dissatisfaction? SH: Slow response times are probably one of the greatest reasons for dissatisfaction. Customers hate to wait. They hate being placed on hold and not knowing for how long or if they will be provided with self-service and other options. Companies are training and recruiting people better for customer service. At the end of the day, even though we’re moving away from people receiving support from people, companies still need to have people in place as the backbone for support. CS: How would you characterize the rate of adoption for digitization in the contact center? SH: The rate of adoption is actually quite high. This includes adoption rates for chat, which I like to call ‘instant texting’ because you’re texting, not chatting. Companies need to discover the best ways customers want to interact with them. It’s a great way to determine which digital tools to adopt. Adoption is through education and determining what customers want to use. The opposite of customer adoption is company adoption. Customers have recognized social media as a way to communicate to companies about issues. Companies that respond to customer needs are going to have great success. CS: What can we expect to see with future digitization? SH: You’ll see more social media interaction by companies. You’ll also see companies responding quicker to customers regardless of the channel that’s used. You’re also going to see email go away because it takes so damn long to respond. You’ll see more automation from a computer. Technology will also become subtler. We won’t be able to tell the difference when we’re talking to a voice recognition system versus talking to a person. The voice recognition technology will be able to pick up on all types of nuances in a customer’s cadence, tone, and inflection. Face-to-face communications, followed by telephone, will become the least-used channels in the next five years. What’s hot is self-service and video interactions with customer reps.
We’ll also see more in the way of de-siloed companies. Everyone is going to have access to the same records. So if I spoke to a customer rep earlier in the day or even a few weeks ago, the next person I’m speaking to will have a record of this. CS: Are there certain areas of digital transformation where you see the most traction? SH: I think chat is gaining the most traction. Computers can pick up the type of message much easier than voice technologies can and identify misspellings and ask whether you meant to say ‘this.’ Chat systems will be able to interpret whether the customer is unhappy and switch you to a human being. You as a customer won’t even know you’ve been flipped over. CS: What are some of the unmet opportunities regarding digital customer service that still need to be addressed? SH: If there’s an unmet opportunity, it’s how much easier can you make this for me as a customer. Amazon is a case study for so many of the positive things that have occurred in customer service. For example, they created the DASH button, which allows you to order consumables online with the push of a button. If you’re running out of detergent, just push the DASH button that Amazon supplies to you. You will then receive a text message asking you to confirm you placed the order and when it is expected to be delivered. They are synonymous with making things more convenient. MetLife came out with an insurance product where you can go into a department store and purchase a life insurance policy at the cash register. Their goal was to create the easiest way for customers to buy insurance. Simple is not easy. Easy is easy. The companies that make it easiest for the customer are going to win. CS: What are some steps that can be taken to meet these opportunities? SH: Take it to a basic starting point to make it easiest for customers to use. Think about what airlines did. You can still duplicate the process they went through for any customer-focused technology. At one time they decided it would save them money by having customers order tickets online. But it’s also a customer-focused approach for incenting customers to save money by booking through the online system and giving them more rewards points if they do. Teach people how to use a system. Make it so easy that it’s intuitive for them to use a smartphone or any other device. CS: What do you envision as some future customer service use cases for digitization? SH: I love what Amazon has done with the Echo. It’s cool to be able to say out loud, ‘Please help me with this,’ and not have to log onto a computer to do so. That technology is going to give us connectivity to other devices, like asking Echo which light bulbs around the house are burned out. Google also has its own device that it’s creating (Google Home) and there are many more coming down the pike. CS: What are some opportunities for applying artificial intelligence and machine learning for customer service? SH: So much of what’s going to happen is going to be driven by A.I. This includes the ability to anticipate the next question a customer is going to ask based on data from thousands, if not millions, of transactions a company has with its customers. A.I. will also be able to calculate and analyze other types of customer behavior, such as the average amount of times a customer is on a website, the number of buttons they push once they are on the site, their voice inflection, which words work, which words are the best ones for reps to use, etc. CS: Can you point to any companies that excel at delivering digital customer service right now? What’s their secret sauce? SH: Consider automotive companies and dealerships. You can go online to design the type of car you want with the features you want and then go order it. With Amazon, they can point out how the last time you were on their site that you looked at a particular product and then ask if you’d be interested in something comparable. On the flip side, look at companies like Sports Authority, which recently filed for bankruptcy. I went onto their website to see if they carried something I needed. They did, but the online price was different than the store price. A manager later told me that the online business is separate from its physical stores. The point is, the customer experience between the two has got to be logical and seamless and not set up as separate businesses and separate experiences. CS: Looking ahead, should we expect to see companies deliver better customer service experiences as they mature in their digital journeys? SH: I think they absolutely will be better. Expectations for customers are only going to go so high. Customers ultimately expect predictable, above-average experiences. Companies can focus on creating better answers and solutions. The support centers are going to get smaller with less human capital, but the ability to answer complex questions will continue to get better. I’m still of the belief that when all is said and done, let’s go back to the basics. What companies need to do is to be amazing. And it’s not about the technology, it’s about being aligned with the customer’s expectations.